If you're wondering why you should spend an exorbitant amount of money on a bottle of whisky, let me get two things out of the way straight off. First, if you don't have the money, don't buy a ridiculously expensive (for our purposes here, we're starting at $500) bottle of whisky if you can't afford it. By which I mean, if you're choosing between necessities like rent and frivolities like a single malt, shelter trumps booze. 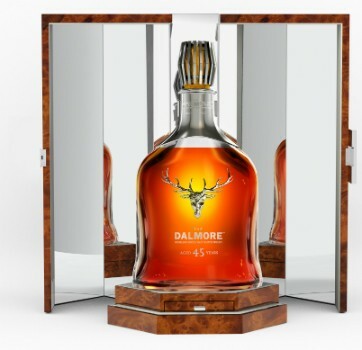 I say this because — and here's the second thing — a $500 whisky going to be ten times better than a $50 whisky, and a $30,000 whisky isn't going to be 100 times better than a $300 whisky. A top-notch reasonably priced bottle will get you pretty close, as far as flavor is concerned, to a super-duper-high end bottle. 95% of the way, let's say. What makes a crazy expensive whisky worth the time and effort it'll take to track down a bottle and the loot you're going to drop once you find it? Well, it's that extra little something, that 5%, that separates great whiskies from truly extraordinary whiskies. Part of it is how it tastes, of course — if you tried all of these drams without knowing a thing about their provenance or their price, I suspect you'd utter a "Holy crap, that's delicious" for every single one of them. But then there's also the rarity factor. The Oban we see on the back of most whisky bars is 14 years old; how often do you see a 21-year-old? No more than a few thousand bottles of each of these whiskies was produced — for a couple of them, there are only a few dozen. And when you've got rarity and desirability, demand is probably going to outstrip supply by a pretty wide margin. Which leads to the "nyah-nyah" factor. Part of the hefty price tag, perhaps the most essential part to some folks, includes bragging rights. If you've got any of these whiskies at home, you'll likely have a lot of jealous friends, who will nonetheless graciously offer to help you drink them. All these things factor in to why certain well-heeled folks will spend a whole lot of lucre to acquire the whiskies featured below. If you're just reading vicariously because reading about stuff we can't afford is pretty fun, I hope you'll entertained. And if you're in the market for a mega-expensive bottle, I hope that you'll not only find a bottle (or several) from this list, but also an occasion worthy of cracking it open. Collecting whisky is fun (and as a hoarder in good standing, I'm guilty of it in spades), but drinking it is way more enjoyable. 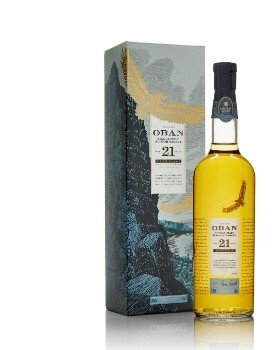 OBAN 21 YEAR OLD (Highland; 57.9% ABV, $550). The Oban's 14 year old expression is a seminal single malt, one you'll find at bars with even modest upscale pretensions. The 21, on the other hand, is a much rarer beast, bottled in limited quantities for parent company Diageo's annual Special Releases series. The extra seven years in oak diminishes the smokiness you'll find in the 14, but the sweet notes, mainly vanilla and orange, are richer and more concentrated, with a hint of maritime saltiness to balance it out. It's a waxy, tongue-coating pleasure start to finish. And that finish — spicy, dry and long — is a stunner as well. 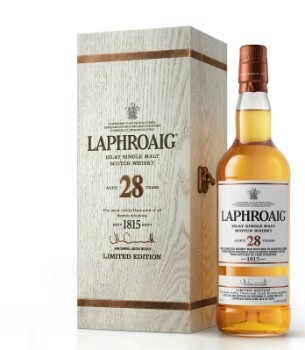 LAPHROAIG 28 YEAR OLD (Islay; 44.4% ABV, $800). Laphroaig's entry-level 10 Year Old bottling is a terrific primer on the joys of Islay malts. The peaty smokiness the region is known for is complemented by sweet, lightly fruity notes from the oak and a maritime saltiness that transports you to the foggy, rocky shores of Islay itself. But if the 10 year old is Islay 101, its 28 year old sibling is the master class. Of course its signature campfire-in-a-glass smokiness comes through straight off, but underneath it is a rich, buttery and downright delicate malt, with subtle notes of pear, vanilla and creme brulee preceding a long, peppery finish. This is the second oldest Laphroaig ever released, to the best of my knowledge. But even after 28 years in a variety of different casks, the oak hangs back until the very end, when it makes its presence known on the lingering aftertaste. A classic from the 200-plus year old brand. 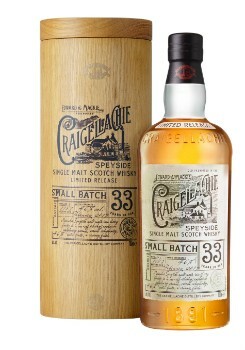 CRAIGELLACHIE 33 YEAR OLD (Speyside; 46% ABV, $3,000). The Craigellachie has been around since 1891, but it's only in the last few years that it's become widely available as a single malt (before that, it was used almost exclusively in blends). And the brand has stayed true to its roots, continuing to malt its barley with oil-fueled fire and using old-school worm tubs to cool the liquid during distilling. The result is a weird, distinctive flavor that's not for everyone, but those who like it absolutely love it. 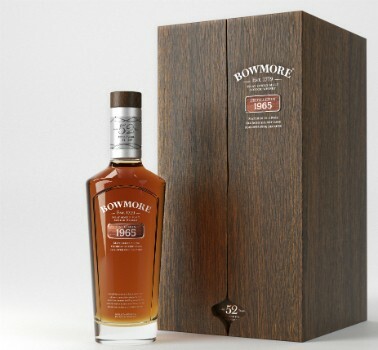 I'm a big fan; their 13 year old is one of my go-to single malts, and the sublime 31 year old haunts my memory and taunts my wallet whenever I see it. The 33 year old is, to the best of my knowledge, the first Craigellachie that hasn't been aged to a prime number (although I looked it up and 33 is in fact a semi-prime, meaning it's divisible by two prime numbers). It's also astonishingly good. The nose is classic Craigellachie, dry and funky. On the palate, however, it throws a curveball, coming on sweet with notes of ripe pear and melon before morphing into the slightly sulfuric, almost meaty flavor for which the brand is known. Admirers of the brand will adore this, and it may well convert those well-heeled souls who haven't yet come on board. Formerly available exclusively at travel retail, it can now be found at stores that sell four-figure single malts as well. And for those Craigellachie fans who desire something a little cheaper, how about free? The brand is giving away drams of its upcoming 51 year old at a series of pop-up bars throughout 2019; check their website for details. THE BALVENIE DCS COMPENDIUM: CHAPTER 4 (Speyside; Various ABV, $37,000). David A. Stewart M.B.E., started working at the Balvenie distillery in 1962. Today, he's the brand's malt master, and a singular figure in the history of Scotch whisky. He's most famous for his pioneering work with "double maturation," meaning the aging of a whisky in one kind of cask before finishing it in another.. The practice is so ubiquitous now that it's amazing to think that the guy who first did it is not only still alive, but still putting in his days at the office. Leave it to Stewart to create a liquid autobiography (divided into five "chapters") — 25 bottles from 25 casks laid down during his tenure — to tell the story of his life's work. The inaugural set of the DCS Compendium was released in 2015; this year sees the release of Chapter 4, Titled "Expecting The Unexpected," these five cask-strength bottlings, distilled between 1971 and 2009, were considered "happy accidents," as Stewart puts it. Not quite your classic Balvenie, but good enough to keep in reserve for some future occasion, and now the time has come. Call them oddballs or unicorns, but the three I tried (I haven't sampled the 2009 or 1982) are stellar. The 1999, aged in refill American oak, packs a lot more punch, in the form of cinnamon spice, than a Balvenie drinker might expect. But add water and it softens into tropical notes of coconut and almonds. The 1992, aged in Oloroso sherry puncheons, is Christmas in a glass, all dark fruit and baking spices, relegating the classic honeyed vanilla notes of the Balvenie to deep background. The 1971, aged in Oloroso sherry butts (a wee bit smaller than puncheons, if you're wondering), is my favorite of the bunch, an absolutely bonkers sherried malt. The powerful, spicy nose belies its gentleness on the palate, with floral notes atop a deep, chocolate and mocha base, with a bit of orange marmalade sandwiched in between. It's a whisky that can linger on the taste buds of the memory for a lifetime — and isn't that what a mega-expensive whisky ought to deliver? Only 50 sets of the latest chapter of the Compendium are available worldwide, with individual bottles also for sale in extremely limited quantities, at extremely premium prices. But hell, if I had $37,000 to spend on whisky, I'd go for the lot.